The staff is very friendly and is well prepared for guests' wishes and needs. Discretion is of the utmost importance at Desire Pearl, so day and/or night passes are not available. 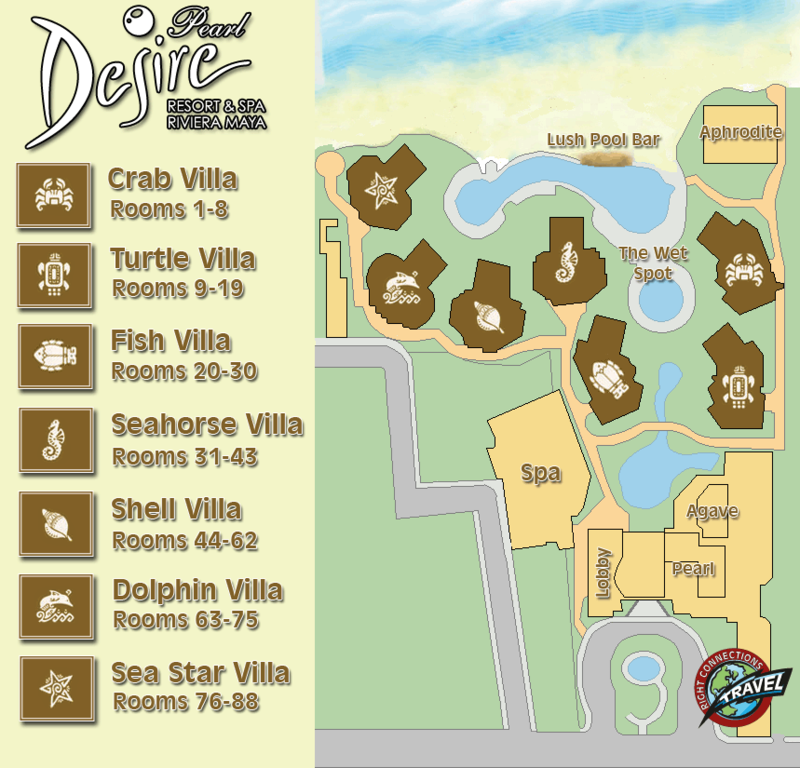 At Desire Pearl a fitness center and a world-class spa are available. The large Lobby Lounge and bar is used as a meeting place for events. Items of daily need are available in the shop as well as souvenirs, lingerie and clothing. The jewelry shop fulfills small and big wishes. Three restaurants and an au-natural beach with beach beds and sun loungers as well as free recreational and sports activities are available for all guests. You can also go online at any time, either via the free wireless Internet (only available in the lobby area) or, for a fee, use the Internet computers available. The popular Jacuzzi Lounge with bar and relaxation zones is a daily highlight among the guests. The heated swimming pool with sun beds and lounge, is not only for relaxation, but also the Desire Pearl animation team to invite you to participate as well as voting events. 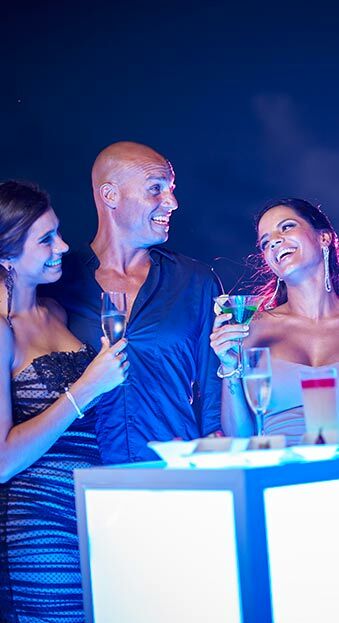 Desire Pearl Puerto Morelos offers a variety of gourmet dining choices to suit all tastes. The opening hours of the restaurant vary depending on the season. Aphrodite, serves you the most succulent dishes of varied international cuisines. Choose your favorite from our buffet or order the specialty of your choice from our à la Carte menu. Our new culinary concept "JADE" brings the long desired taste for Japanese cuisine to the Caribbean. PEARL is the name of our avant-garde restaurant of Mexican and Asian fusion cuisine that makes Desire Pearl different and unique from other resorts. Enjoy Desire Pearl's deliciously complete room service menus from the privacy of your own room 24 hours a day. Snuggle up for breakfast in bed, have a delicious lunch in the late afternoon or simply plan a romantic night in with your favorite companion. With a room service fee of 10 USD, except for the Penthouse Passion Suites. Romance has never been taken so far. Make your reservations for a superb steak or lobster candlelight dinner served on the beach at our gazebo. Enjoy the sounds of the waves and see the stars during this memorable experience. 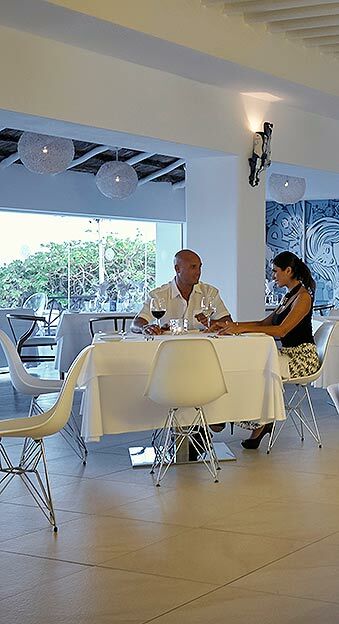 The Romantic Dinner by the Sea is not part of our All-inclusive packages, but it is a must try at Desire Pearl.